Farah 'Brewer' Men's 1960s Mod slim long sleeve Oxford Shirt in red. 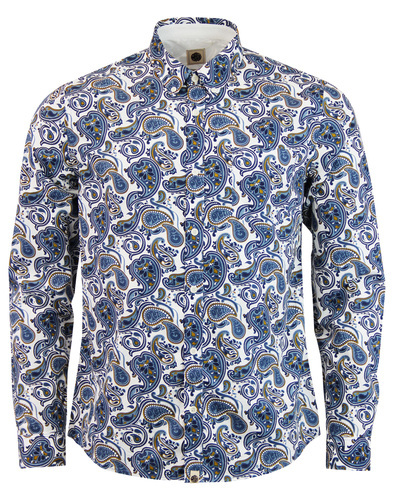 An iconic Ivy League style in a cool Vintage colour way that evokes images of 1960s Mod culture. Team the Farah 'Brewer' Oxford Shirt with a pair of Farah slacks and smart loafers for that timeless Ivy Look. A simple and sophisticated style that features subtle branded buttons to placket and Farah embroidered motif to the left side of the chest. 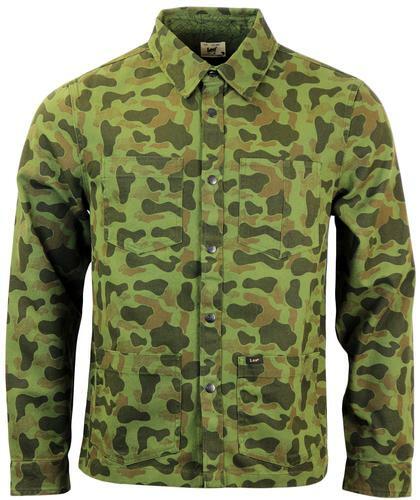 Button down collar gives the shirt a cool 60s Mod feel. 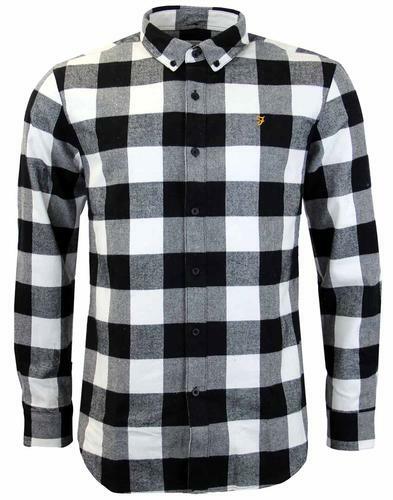 The 'Brewer' Men's long sleeve Oxford Shirt by Farah has cemented its place as a wardrobe staple. A go to piece for for AW17. 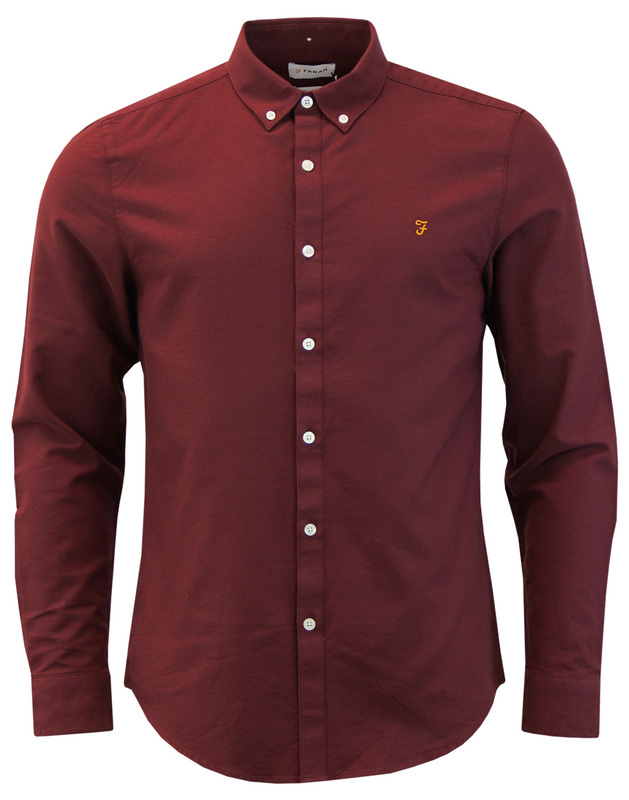 - Farah Retro Mod Brewer Slim Oxford Shirt in Red. 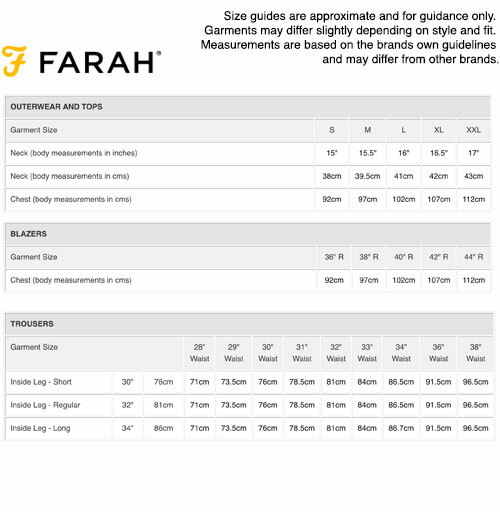 - Iconic Farah embroidered logo to left of chest. 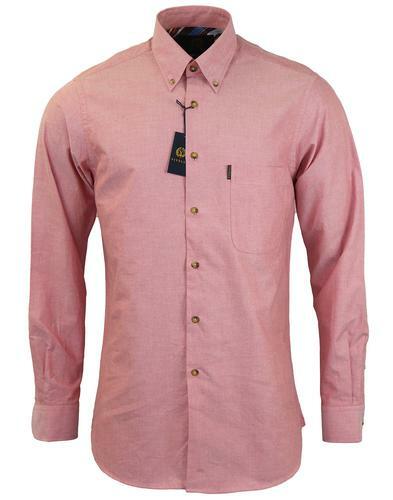 - SKU: F4WS4054 Brewer Oxford Shirt.